Dinagyang revelers only have one place to be during the weekend as Megaworld’s Iloilo township will be hosting the biggest events of this year’s festival. A total of 19 events are happening in different areas all over Iloilo Business Park. The merrymaking starts today at Megaworld Boulevard as it sets the stage for the Philippine Airlines Dinagyang Party at 5:00 p.m. The same venue will also host the Viva Music Festival, an all-night dance and music party, from Jan. 25 to 27. Headlining the list of performers during the three-day event are iconic rock group Kamikazee, international DJ Jetfire, and celebrity love team Nadine Lustre and James Reid. 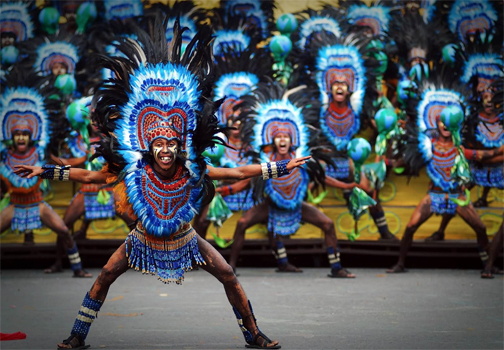 Dinagyang performers bring the festivities to Megaworld Iloilo township. Come the 26th, the much-anticipated Dinagyang Lights Parade, which will feature more than 20 colorful floats, kicks off at 6:00 p.m. at Festive Walk Parade. This will be followed by the grand Dinagyang Fireworks Display at 9:00 p.m.
Festive Walk Parade is the all-out party venue the entire Dinagyang week beginning today. Local rock group Urbandub is bringing their epic performance on Jan. 24, while local indie band Ransom Collective takes the stage on Jan. 25. Both performances will begin by 11:00 p.m.
Also taking part in this year’s festivities are some of the biggest Kapuso stars who will be bannering the GMA Kapuso Mall Show on Jan. 25 at 6:00 p.m.
On Jan. 26, Ilonggo bikers are set to gather together for the Honda Riders Meet Up with Orange and Lemons at 10 a.m. The Apartel—headlined by legendary Filipino music icon Ely Buendia—is another highly anticipated act happening on Jan. 26, while Up Dharma Down adds more to the revelry with a live performance on Jan. 27. For the first time, the grand coronation night of the Miss Iloilo Dinagyang beauty pageant—one of the biggest highlights of the annual festival—will be held at the township, in front of Casa de Emperador along Megaworld Boulevard on Jan. 25 at 6:00 p.m.
“We welcome the ladies of Miss Iloilo Dinagyang here for the first time at Megaworld Iloilo Business Park and we are very excited to see who will be crowned as this year’s winner,” said Jennifer Palmares-Fong, vice president for sales and marketing of Iloilo Business Park. Miss Iloilo Dinagyang 2019 will be held in front of Casa de Emperador. Tourists and locals can shop for pasalubongs and enjoy great food during the festival weekend. A variety of goods and everything Ilonggo are on sale at the Pasalubong Center at Festive walk, which is open since Jan. 21 until 27. Score discounted items at the Dinagyang Festival Sale happening at Festive Walk Mall/Parade/Annex. Operating hours of the mall will be extended from 10 a.m. to 12:00 a.m. from Jan. 25 to 27. 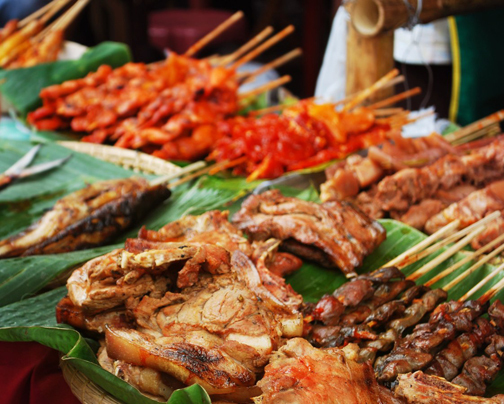 Tourists and locals alike can sample the best Ilonggo street delicacies at the strEAT Party Food Festival by the Iloilo Hotel Restaurants Association happening from today to 27, at 4:00 p.m. onwards at Festive Walk Parade. 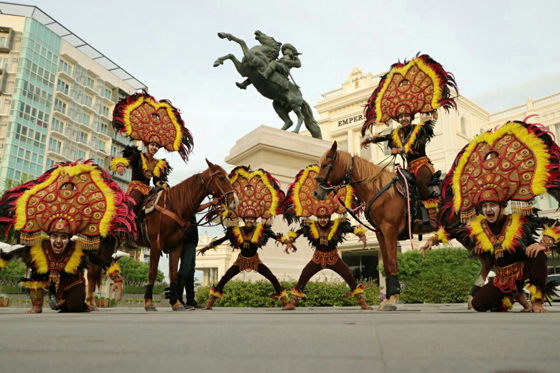 Those visiting Festive Walk Mall from Jan. 25 to 27 can also catch the Dinagyang Warriors Parade featuring Tribu Bola-Bola at 4:00 p.m. and 7:00 p.m., respectively. There will also be the Warriors Overload, a costume exhibit, sale, and performance show happening at Festive Walk Mall/Parade/Annex from Jan. 25 to 27. Interactive Dinagyang Booths will also be hosted at the mall throughout these dates. 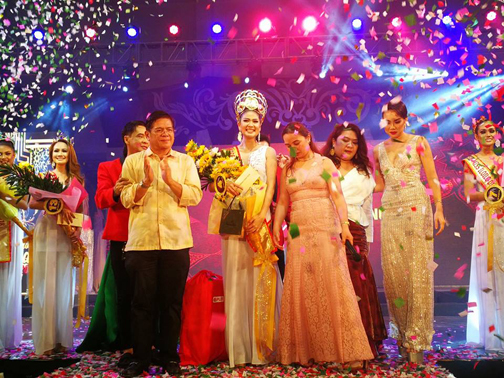 Last year, Megaworld Iloilo Business Park also hosted the Dinagyang Lights Parade, which gathered around 10,000 spectators, as well as the Grand Fireworks Display that was witnessed by more than 15,000 people. The Viva Music Festival, meanwhile, saw between 5,000 to 8,000 people joining the party every night. Iloilo Business Park expects the crowd to get bigger this year as more events will be hosted in the township.